Fans compare pipe organs to orchestras, with settings and stops designed to allow a musician to mimic woodwinds, brass, percussion, strings and more. Cathedral of St. Paul sacred music director Lawrence Lawyer -- one such fan -- says you can feel their power especially in the lower pitches, when the wind through the pipes vibrates the air around your body. A pipe organ worth the name, he suggests, should cause dress hems and pant cuffs to flutter just a bit. 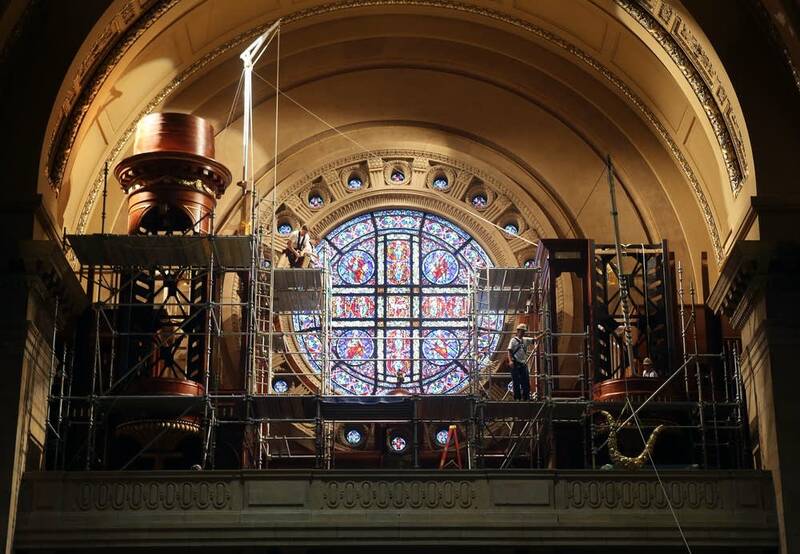 But while the Cathedral of St. Paul has a splendid array of bells outside, the structure's aging pipe organ insides had been struggling of late. Its switches and other controls were a bit out of date and worse for wear, and the pipes themselves were in need of some restoration. 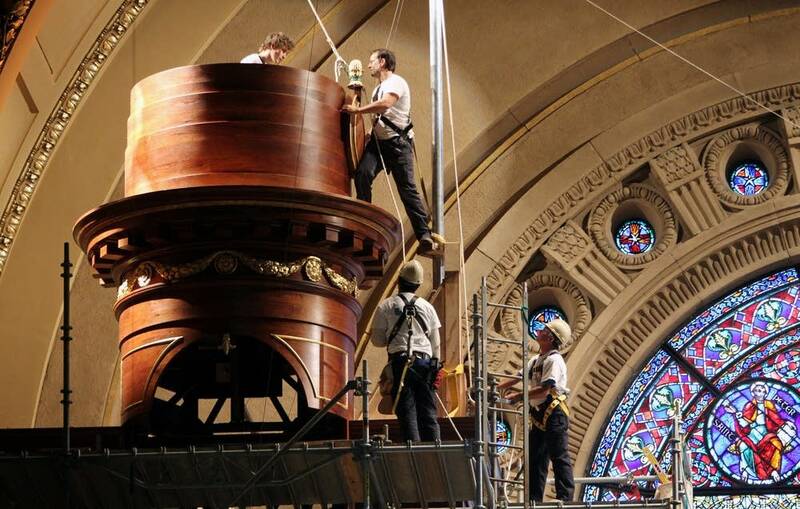 Two new pipe organ consoles are being installed. They have solid-state electronics, linked with the latest technology to help the organist remember particular settings. All of the organ restoration work is being done by the Quimby Pipe Organ company based in Warrensburg, Mo., and led by Michael Quimby. 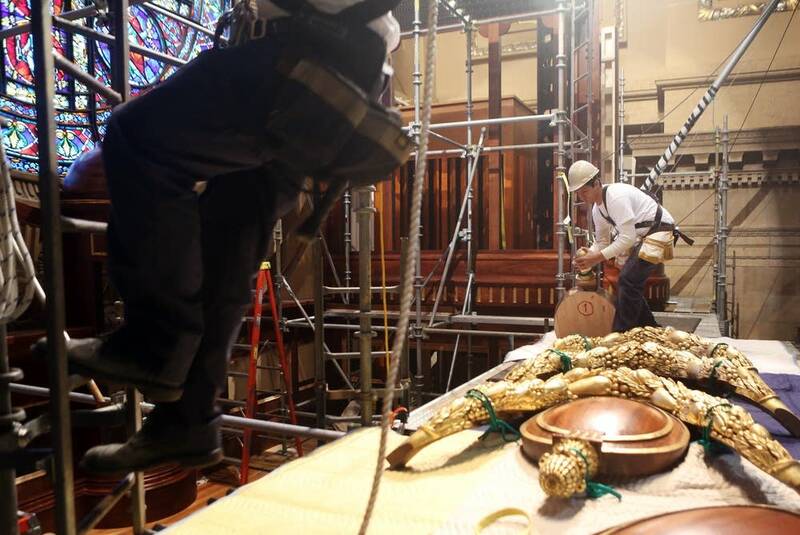 The restored instrument will include a new setting, or stop, for something called the pontifical trumpet, which creates a bold and brilliant sound. Lawyer says there will also be more volume from additional pipes. 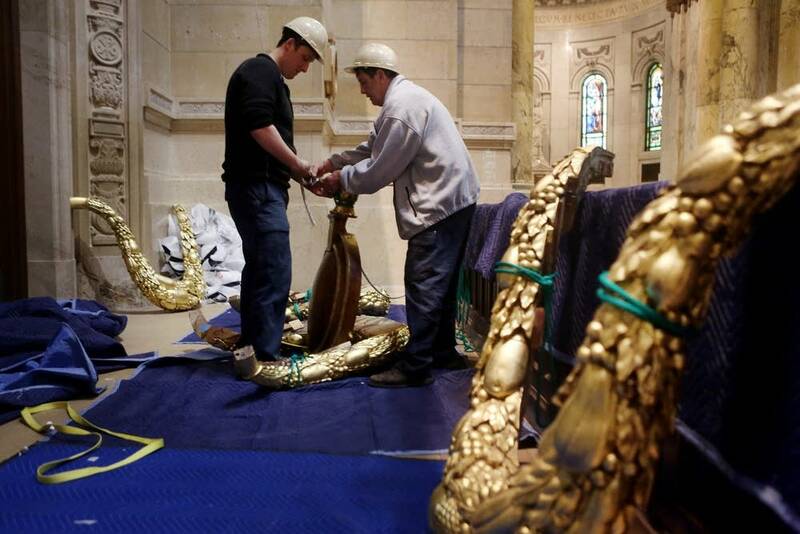 "We're adding a fourth keyboard and the pipes that it will play," he said. "It's called the bombard division, and it will be the loudest set of pipes." The cleaned and restored pipes arrive next week. The first notes will be heard at Easter Vigil on March 30. 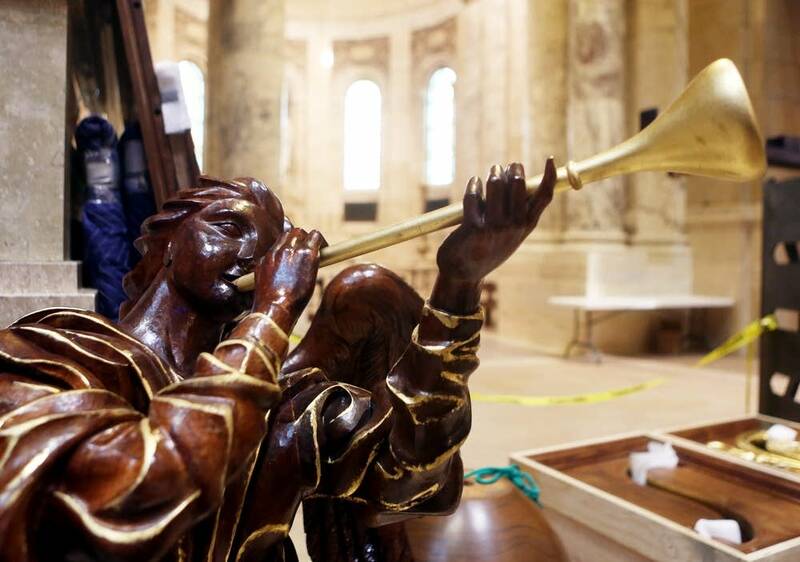 Along with a new sound, they will have a visual as well as audible impact when viewed in the Cathedral balcony, sitting in huge, hand-carved, solid walnut cases. Master Carver Ian Aggrell and his team in a Richmond, Calif., workshop, carved the 15,000 pounds of wood casements. "All of this, every inch of it, is new. I expect it to be around for hundreds of years. There's no reason why it won't be," he said. Project architect Duncan Stroik, a Notre Dame University professor of architecture, agrees. "That's true green architecture, where we don't tear things down, build something new because it's new -- but we really conserve that which has already been done because it's so beautiful," he said. This kind of restoration isn't cheap; the price tag will come in at around $3.4 million. Sizable donations from individuals have come in, but parish members are also raising money in smaller ways. Eileen Daly and about 100 other volunteers have been raising some of the money through what they call "pies for pipes." They gather over three days to bake and sell hundreds of lemon meringue pies to sell in fundraisers. Daly says the once-in-a-lifetime project has rallied and energized the parish members. "How often do you get to see something so magnificent?" she says.